We have the containers you need for scrap collection and pick up in a range of sizes. Recycle your old electronics responsibly and protect the future of our environment. Have metals items laying around, or metal scrap from a job? We’ll pay you cash for it! 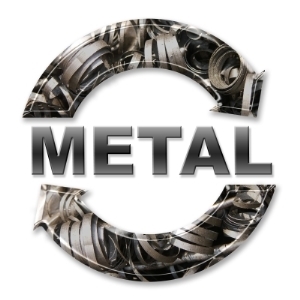 Metal recycling services for industrial and public customers. Find out more about the importance of recycling your e-waste. You can earn cash by recycling metal waste responsibly at our facility! Are you looking for an effective and environmentally-friendly method of disposing excess scrap material? Would you like to receive cash for simply turning in your old desktop, laptop, or any other metal based object? At Rivers Edge Scrap Management, our Kansas city processing center accepts most major metals, aluminum, copper, and more! If you have used items that are taking up space in your closet, bedroom, or office, don’t throw them away! Instead, visit our family owned and operated and let us pay you for your unwanted items. To get started, please give our offices a call at (913) 573-1000! Rivers Edge Scrap Management – We Take The Guess Work Out of Recycling! To help you clean out excess items from your commercial or office space, we also provide roll off dumpsters for your convenience. We provide roll off containers measuring 20, 30, and 40 yard. Our team has experience handling larger items as well, such as car batteries, electronics, and used vehicles as well. Rather than simply dispose of your old items, bring them into our recycling center and let us weigh your goods and provide you with a comprehensive quote as to the value of your goods. If you are searching for a place in Kansas City to get rid of all your unwanted scrap metal, then get in touch with our experienced team right away! For many years, we have set a standard in our industry for careful and professional adherence to various requirements and safety mandates. We are also a proud member of the Institute of Scrap Recycling Industries, Inc. Whether you own an old truck, scrap metal, outdated electronic devices, or broken equipment, bring your items to us! Our rates are typically based on the kind of metal you own and on the weight of the item you would like to sell. We offer free estimates and work hard to get you scheduled in as soon as possible. To get started, contact our team at (913) 573-1000! Contact us to get more info about our services.